BookTubeAThon 2014! - Hello, Kristina! So… I may have done something crazy. What could you possibly done that’s so crazy, Kristina? you might ask. I may have committed to attempting the Book-Tube-A-Thon starting on Monday, July 14th. For those who don’t know what the Book-Tube-A-Thon is (like me, 3 days ago), all the information about it can be found here. It’s sort of like NaNoWriMo, but for reading. This is scary for a number of reasons, but mainly because I already know I can handle NaNoWriMo, even if I undergo small amounts of insanity in the process. But Book-Tube-A-Thon is terrifying. Book-Tube-A-Thon is the unknown. Book-Tube-A-Thon is gonna be GREAT. The thing is – writing 1,667 words a day, in a vacuum, is pretty easy. It’s really the challenge of doing it EVERY SINGLE DAY that starts to make you lose your mind. But reading SEVEN BOOKS in SEVEN DAYS? Coming from a slow reader, well, let’s just say it’s going to be a challenge. BUT I AM SO PUMPED. 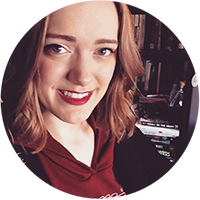 I’ll be announcing my full TBR list in the first video check-in on Monday (oh, did I not mention? On top of reading seven books in seven days, there are also daily videos. With challenges. Sure, no big deal, next week is going to be a piece of cake) so make sure you’re subscribed to my channel if you want to witness the madness first hand. 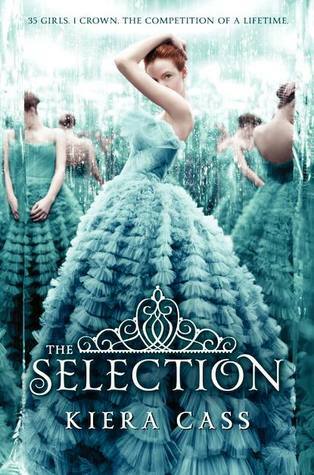 The Selection by Kiera Cass! I’ve heard nothing but good things about this series, even if most of the people reading it were slightly ashamed by how much they liked it. Not gonna lie, I can be a total sucker for those kinds of books. You’re probably wondering, after all this, why I am doing this. If it’s so scary, why do it? Well, I have a few answers for you. “Because it’s scary” is one of my favorite reasons to do anything. It’s why this year will be Year 9 of NaNoWriMo, it’s why I have a YouTube channel at all, and it’s why cave hiking is one of my favorite new hobbies. Nothing helps you grow as a person quite like attempting something that terrifies you, and coming out the other side a victor. Or, alternately, failing miserably. Both are okay options! Both are good for you! I’m really pumped on books lately, and the BookTube community seems amazing and welcoming and fun. What better way to try to assimilate myself with them than to tag along on their craziest adventure? I hope they like me. Fingers crossed they like me. How ELSE am I gonna accomplish any of my reading goals this year when there are so many distractions everywhere? I love the idea of a militant reading challenge. I write the most during November and it really works for me. Why not try the same with reading? I likely wont be blogging much (if at all) during the Book-Tube-A-Thon, but who knows. It’s only a week though, so be sure to check back after for my thoughts on the whole experience. And if it sounds fun to you at all… feel free to join in the fun! I’ll be talking about it a lot on Twitter, especially since it’s just perfect for #JulyReading. See you on the other side! Two and a half more days before THE CRAZY BEGINS!!! So glad you’re doing this too! It’s gonna be awesome! I also didn’t know about it until yesterday, but I’ll be on vacation from work starting tonight until the 21st so I really don’t have an excuse not to do it. i’m so excited over that you’re participating! it’s my first readathon as well and i’m looking forward to it immensely!